In some of my recent posts, I’ve shared that I have been redefining my style as of late. Cutting back on my shopping has led me to more thoroughly evaluate what’s in my closet. It’s also given me more time and space to consider how I want to dress and how I’d like to be perceived by others. While this sounds like a very positive shift – and it mostly has been – there have been a few negative side effects. In today’s post, I offer my thoughts on what I’ve termed “the dark side of style redefinition.” I don’t necessarily think this dark side applies to everyone, but it’s definitely affecting me and likely affects fellow shopaholics in similar ways. I’m sharing my insights today for two main reasons. First, those who resonate with my experience may be able to make positive psychological and behavioral shifts as a result. In addition, others who have been in a similar position in the past may be able to offer suggestions to help me and others better navigate our current challenges. At the end of this post, I present a few coping strategies I’ve decided to adopt as I continue to redefine my style while also overcoming my compulsive shopping problem. It’s my hope that many of you will find my ideas helpful, but I also welcome any additional tips you’d like to share. As those who have been following this blog for a while know, I have a lot of similar items in my wardrobe. This is mostly a result of mindless shopping and faulty thinking. Much of the shopping I did in the past was done to alleviate emotional stress. I didn’t put a whole lot of thought into what I was buying, and when I did apply thought to my purchases, it was often misguided. For one, I generally believed that if one item of a given type was good, two or three (or even more) was better. This led me to accumulate an overabundance of pieces in comparable styles, silhouettes, and colors. So long as we continue to like a particular style, we may not experience many negative effects from our strategy of purchasing multiples. Yes, we may have packed closets, but many shopaholics don’t consider that to be a major problem. However, what happens when we stop liking a certain style? If we’re still shopping at breakneck speed, we generally just shift our buying in another direction and start accumulating alternate types of items. We may or may not purge the less loved styles from our closets, but we do start picking up a bunch of new garments that we feel passionately about. That is what I did for a number of years. I bought multiples, I wore them (or didn’t) until I got tired of them, and then I bought multiples of something else. I regularly purged my closet when it exceeded my “set point,” but typically maintained a very large wardrobe. This didn’t really work well for me, but it did work on some level – until I decided I needed to change my shopaholic ways. So I’ve been on a journey of transformation over the past year and a half. I’ve been buying less and thinking more. I’ve also been doing a lot of tracking and engaging in quite a bit of introspection and self-expression here on the blog. Now I find myself in sort of a difficult situation. I’ve been refining my style and becoming increasingly clear about the way I’d like to present myself to the world. But then I look into my closet and see a lot of “not that” pieces. I find myself not loving much of what I own and wanting to completely overhaul my wardrobe. I want to rush out and buy everything I can find that fits with my new style statement. Except I can’t… because I’ve also set a limit for how many pieces I can buy this year – and I haven’t been pacing my purchases very well. I’ve already made some big buying mistakes this year. I wish I could have some “do-overs,” but life doesn’t work that way. We have to live with the consequences of our actions, learn from our mistakes, and vow to do better moving forward. In my last accountability update, I mentioned that I’ve contemplated raising my item limit for the year. Yet I also see the value in holding to my initial commitment. I may experience some discomfort in not being able to refine my style as quickly as I’d like, but there’s no guarantee that I’d get things right even if I allowed myself shopping carte blanche. After all, I have a lot more awareness this year than in 2013, but I continue to commit shopping errors at a fairly high rate. Who’s to say that same trend wouldn’t continue? Then I’d just end up with more items that I don’t love and won’t wear in my closet! Can You Relate to My Quandary? Perhaps you can relate… Maybe you haven’t set an item limit for yourself, but instead have very little disposable income available for shopping. Maybe you’ve “already spent the money” and are now struggling to pay off some crippling debts. You may need to delay gratification for entirely different reasons than mine, but you may also feel impatient that you can’t take your style to a new level as fast as you’d like. The dark side of style redefinition is that once we outline our desired style, we tend to want to get there right now. We want to wiggle our noses or snap our fingers and be expressing our ideal style personas post haste. Or we may be willing to do the work of purchasing new pieces, but we don’t have the budget to do so at this point in time. Either way, we are impatient and dissatisfied with the status quo. We want to look different and we want to be different. Our current style and our current clothes are suddenly unacceptable. Of course, all of our current clothes are not really ready for the trash heap, but we shopaholics can be a very “all or nothing” bunch. What we loved not long ago feels just not good enough today and that creates a vicious cycle. But that’s just a feeling and a not very reliable one at that. While it may be true that we’d like to move our style in a different direction, we probably do have quite a few pieces we can work well with today. We don’t need a whole new wardrobe in order to evolve our style statement. If I look in my closet when I’m in a rational state of mind, I still see a lot of pieces that I like – or even love. They may not be perfect or exactly what I’d like to be wearing today, but they are still items that work well for my body, lifestyle, and personality. I don’t need to throw everything out and start all over again just because I’ve taken a style turn as of late. I can start with what I have and work from there. I think I can learn a lot more about myself and my style by being uncomfortable and working through it than by shopping as a means of alleviating my discontent. After all, style evolution is more of a marathon than a sprint. It’s also quite tenuous in its early stages and should probably unfold gradually instead of all at once. Adding a strategic piece or two periodically and remixing that item with current closet residents may be challenging, but it’s also quite educational. We learn what we like and what we don’t better by working with what we have than by throwing the proverbial baby out with the bath water. I won’t force myself to wear anything just because it’s in my closet. I won’t worry too much about potential “benchwarmers” or wearing some pieces more than others. I’m just going to wear what I love, even if that means repeating certain outfits over and over again. After all, the same people don’t even see me most days, so why not wear my favorites often? In addition to taking photos of all (or at least most) of my outfits, I’m also going to keep track of how I felt while wearing them. I’m going to write about my impressions of what I was wearing – what worked and what didn’t work, whether or not the outfit was in line with my desired style, and what I would ideally change about what I was wearing. This should help to increase my awareness of where I’m headed even more. What I buy for the rest of the year will be based upon the observations I make in my outfit journal. If I find myself wishing I had a particular type of piece to complete my outfits, whether it’s a new pair of shoes or a white topper, that’s what I will buy. I will have to be careful to make the best possible decisions, as I won’t be able to buy many new items this year. I’ll have to make what I buy really count. Not only will I focus on shopping my wardrobe in the coming months, I will also engage my creativity in the closet. I will take a few hours here and there to play with new outfit combinations, as well as new ways of using accessories to pull my looks together. I probably have a lot more options than I think and taking some time to “play” will help me realize this fact. While I have limited the number of clothing pieces I can buy this year, I don’t have such a limit in place for accessories. That doesn’t mean I should go hog wild and buy tons of new accessories, though. But anyone who’s been reading Bridgette Raes’ blog knows how important accessories are to switching up our looks and extending the versatility of our wardrobes. I can add some new pops of color or edgy elements to my looks through my jewelry, belts, scarves, etc. I can also do this via shoes and handbags, but those items will count toward my item limit for the year. In hindsight, I probably would have set the limit for just clothing, but I don’t want to weasel out of my commitment at just past the halfway point. I’m going to make the best of what I’ve committed to for 2014. I’m still in the same position as I was last week, but I feel so much better. All it took was a simple attitude shift and a basic plan to turn things around. While it’s still true that I won’t be able to shop a whole lot more this year, my style redefinition process doesn’t have to grind to a screeching halt. There’s still a lot I can do to grow and learn style-wise, even if I’m not buying all that many new pieces for the remainder of the year. In fact, I may grow and learn more by having to work with what I have – and make a few strategic additions – than by relying solely on new purchases to shift my style. If you’re in a similar position to mine, I invite you to join me in adopting my style plan for the remainder of 2014. It won’t cost a lot of money, but it will require some of your time and attention. That time will be spent more in your closet than in the stores or on your computer, but it will be time well spent. If you do choose to join me, I’d love to hear how it goes for you. Feel free to comment on any of my posts or connect with me via email or social media. For those who are already where they want to be style-wise, I hope you’ll decide to follow along and provide encouragement (through either thoughts or words) for the rest of us. I will periodically post updates on how I’m doing with my style redefinition process and share my insights from the journey. I’ll also offer suggestions for those who are working to shift their style without stuffing their closets or breaking the bank. Thanks for your support! Feel free to offer your thoughts and ideas in the comments section of this post. For those who worried I might shut comments down, you can rest assured. I plan to keep comments open, but I may not always be able to respond to each and every one, especially on posts that receive many, many comments. I feel blessed that my blog has grown in its reach and readership. That’s not a bad problem to have! I love that many of you respond to each other and engage in meaningful discussion in the comments section of my posts. I will chime in as much as I can and I will always read every single comment and respond to any direct questions for me. As for the rest, I will do my best. I’m glad you find this blog to be a safe place to discuss the many difficult issues related to shopping and our wardrobes. I hope it will always remain as such, no matter how much it grows! This entry was posted in Behavior & Psychology, Personal Style. Bookmark the permalink. can you sell some of the items you own and don’t like and use that money to increase your item limit? also, i think confining yourself to a set number of purchases this year may be a blessing in disguise. i found this out myself. i now like cross body bags over any other type. i am a petite slim gal. after a lot of expensive trials and errors, i found that it has to be longer rather than taller and of a very specific dimension, colors and textures. so play around what your new purchases and find out exactly what you like and don’t like about them. it will take you probably by the end of the year to do that. then you will have a new budget and new item limit to work with. Yes this is a perfect idea and certainly lessens any guilt. That’s definitely a good idea, Nutrivore, but I’m doing well with my budget overall. I’m not doing so well with my item limit and the rules I made in January state that only things I return for a refund don’t count towards the item limit. I agree that there are benefits to confining ourselves to a set number of purchases. The fact that it’s difficult for me probably highlights the importance of doing it! Debbie, I LOVE this post. I can identify with several points, mainly wanting to replace old items with new and improved styles SUPER FAST. It’s like I can’t wait to explore my “new identity”. Sometimes I wonder if trying on a new identity is just an excuse to shop even MORE. I love the journal idea and honing in on how one FEELS in their chosen outfit. Oftentimes, I feel the best in a plain white t-shirt and old broken-in jeans. Thanks for this post today! Glad you liked the post, Betsy! If you opt to do an outfit journal, please let me know how it goes for you. It’s already helping me quite a bit! So glad to see you’re feeling better about these issues! This insightful post will be added to so many others of yours in my “style evolution” notebook, and I am going to challenge myself to take the same steps you have articulated so clearly here. I set my alarm for 2:00 a.m. today so I could get the items I “needed” the very second the Nordstrom sale started, so I obviously have a long way to go. To my credit, I only replaced my worn out bras and chose one pair of boots (part of my shopping plan and about half of what I had budgeted for them) but the fact that I would get up at 2:00 a.m. to shop a sale still makes me cringe. Every post you write contains so much wisdom, and you continue to help me move closer to my goals of a well-defined personal style and a rational, pared-down wardrobe. For example, you are completely correct that if we aren’t seeing the same people, there is nothing wrong with wearing the same outfit multiple times. I tried that last week with one of the few “looks” in my closet that pleases me, with great results! I’m looking forward to see what pieces you choose to achieve your aspirational style, and where you will find them. I love the idea of buying fewer but higher quality statement pieces, but am having trouble putting that theory into practice. Thanks for continuing to share your journey with us! I have tried this experiment at work in a public school, wearing the same color (not outfit) every day. No one noticed. They only notice when I wear new clothing. I sometimes think that fuels my excessive buying – always wanting to get nice comments. I want to have a more balanced relationship with my clothes. I teach 8 th grade and they notice everything I wear. I do dress up a lot more than most people though. If I wore the same thing too often I think the students would notice. I checked out the Nordstrom sale right away, too, TexasAggieMom, but I was still up at midnight and didn’t have to set an alarm to do so. I just looked for a few minutes and didn’t buy anything, but still felt compelled to look. Must be due to fear of missing out (FOMO)… Congrats on only buying what you needed/planned to buy! I love your experiment, Anne! I think wanting to receive compliments (and thus get validation from others) drives a lot of our shopping behavior. Good noticing! I want a more balanced relationship with my clothes, too! So here’s my question. Let’s say you *did* go out and buy all of the perfect pieces you felt are missing from your wardrobe. Now you have everything you need. You love it all. It’s all relatively new, so you’re not going to need to replace anything for… years, maybe. Now what happens? Do you finally stop shopping? Do you continue to shop and rebuild a huge wardrobe with your new style direction? Or do you stick with one-in-one-out, getting rid of progressively newer pieces? Or, do you then change up your style *again* in an effort to maintain your shopping habit? I guess this all boils down to the question, When Does It End? Obviously clothing wears out, so eventually one *must* purchase new items in order to stay clothed, but when does the constant thinking and planning and searching and strategizing and rationalizing and justifying cease? When will you have Enough? As you know, I’m on a 6 month shopping fast to work some of these issues out for myself. It’s been less than two weeks, I think, and I have already caught myself looking up items mentioned in various blogs and window-shopping to replace my mephisto sandals that are finally giving up the ghost (I am not willing to pay 75% of the retail price of them new to get them resold. I like them but not *that* much.) And the fact is, I don’t *need* anything. I don’t wear dresses so the super duper awesome-for-all-occasions-washes-like-a-dream-wrinkle-free travel dress would just sit in my closet. I have several alternate pair of sandals to replace my old mephistos. I don’t perceive any holes or gaps in my wardrobe, I like my stuff, and it all fits my body just fine. I have no legitimate need to shop. And yet when I get bored my impulse is to start trolling eBay or Zappos. I try to use the various style blogs I read (Brigette Raes, Vivienne Files, A Femme…, Inside Out Style) as inspiration for how to wear my existing clothes, and not as a shopping list, but I wonder if I will need to scratch those from my daily feed before the end of this 6 months, so as not to trigger an urge to shop. Debbie – love your introspective post. I think it will be very useful for anyone who feels that *tight* must shop feeling. You said this above: “After all, style evolution is more of a marathon than a sprint.” I think that’s a nice thought but I would take it further for me at least. Do we really ever ‘arrive’ at a destination when it comes to style? Aren’t we always evolving in some ways? Dealing with changes in our lives? Perhaps wanting to look up to date? Or perhaps just getting to know ourselves better. I appreciate your comment. I feel like I have been running a marathon that doesn’t stop. I want to get back to slowly building a wardrobe I enjoy. I hate running and much prefer your idea of a stroll. How has your fast worked out? My fast is going fine, it’s early days yet though [July – Dec] and I avoid stores and currently don’t have a reason to shop, thank goodness. I have tracked all purchases since the beginning of 2014 and I noticed a few things about myself. When I have a special event [ball, wedding] I tend to make weird impulse purchases – because I don’t [can’t?] have a clear plan? Also I shop almost exclusively 2ndhand, which I love! I know my style and colors really well. That means if I see a pair of Eileen Fisher brown linen trousers for $30 I am going to buy them even if I am not positive I ‘need’ them. So for now I have a 2 item list of what I am allowed to buy [couple summer tops and bras and gifts for others]. I’ll have house guests next month who will want to shop – we’ll see what I learn then. I have been pondering this, too. I’m just trying not to shop for this month. I know I have more than what I truly need, and the world will not stop spinning if I don’t spend time finding those items to consider/add/enhance/complete/refine and what have you…but I’ve realized that just the HABIT of weekly shopping is apparently really ingrained for me, and that’s what I would like to stop. I feel that it’s a bit indulgent and wasteful, but it’s grown since I was young from my interest in color and fabric and clothes and style. And in our culture these things go together, and if you enjoy reading about fashion and style, it is very hard to do that without kind of passively ending up shopping. Especially with blogs and online shopping as you mentioned, Ann. And combined with a desired style change/closet dissatisfaction or perfectionism, it’s even harder! Maybe that’s why we end up feeling like we are always running to or from that new desire, and there’s always something that I found that I just have to get NOW even though tomorrow or next week or next year or whatever, I’m not going to shop so much, right? I am definitely having to figure out how to balance some style blogs I love and my goals to avoid online shopping as a hobby, but it’s a struggle. I’m hoping the time off will help, but I wonder how to find balance and feel satisfied with my wardrobe in the long term, not get bored, but still let my style evolve etc…It feels really hard to me right now! When does it end? For me it doesn’t. It will never be enough if I keep the focus on the clothes. I think until I consistently keep looking in other places for satisfaction this cycle will continue. I agree with Tonya that it never really ends. I think that evolving our wardrobes and our style is an ongoing process, especially for those of us who like clothes and fashion. However, I think it CAN become more balanced than it is currently for me and for many others who read this blog. I know women who I consider very stylish who only purchase a few new things each season to update/refresh their wardrobes. They aren’t constantly shopping like has been my way of life since I was a teenager. They are also very directed in their shopping. They review their closets, decide what needs to be replaced, and determine which new trends they’d like to adopt. They make a list of a few (maybe 5-6) items they want to buy and that’s all they buy. These same women likely adopt a one-in, one-out approach, if not literally than at least in usual practice. So their closets never get overstuffed like many of ours are or have been. It still seems like a bit of a “pipe dream” for me to be one of those women, but I still believe it’s possible for me and for all of us. It isn’t something that will happen overnight, but it CAN happen. I also agree with Tonya that we need to look for satisfaction in other places besides shopping or else the cycle will continue. I know for myself that I look for too much validation based upon the way I look, including how I dress. I need to value myself in a lot of other ways or else I will continue to overshop or have to grit my teeth and white knuckle it NOT to overshop. So, in summary, I don’t think the style evolution process ever ends, but we can get to a point at which it doesn’t occupy so much of our time and energy. It can become a seasonal activity instead of a weekly (or daily) activity. That is what I hope for myself and for all of us. I will keep writing and exploring these issues to hopefully help all of us get there! I love this reply Debbie. When I left my comment I was coming from more of a place of doom rather than one of optimism because I have been buying too much lately. What you described here is exactly what I want to do. “I need to value myself in a lot of other ways or else I will continue to overshop or have to grit my teeth and white knuckle it NOT to overshop” This is perfect. Reading this post and the comments I realized that I have been putting a large amount of effort into white knuckling it and almost none into things that would make me value myself more. It’s so much easier to know what way to go when the path is a bit clearer. Renee, great, great question “when does it (the buying) end? I am finally forcing myself to face these same questions that Debbie, and many others are. As far as when the shopping will stop, it seems that I am never satiated. I have finally gained confidence to be and look how I want to be, so even though I am no spring chicken I love the goth crossed with Penelope Garcia look. It suits me and I wear it now, but it took a lot of redefining, altering and oops rebuying…but I have it down pat and am a happy person for it. I love that you have such a strong sense of your style, Frugal! I had to Google Penelope Garcia, but I love how fun her style is (especially the cool glasses). And I love that you are confident enough now to express the style that speaks to your heart. Bravo! Debbie – Your blog post hit me exactly where I am right now in my style recovery. I have purged a ton of stuff. I have purchased a few things in my new style. Now I am feeling like I could go off the deep end – ditch most everything and get all new stuff. But like another blogger wrote, “Where will it all end?” I think she is right. It never will. I have been so transfixed by this conundrum that I either want to buy all new or buy nothing at all. I feel I have lost all the fun in shopping and getting dressed. I spend way too much time analyzing colors, forms, fit, fabric,etc. I have forgotten how to enjoy my clothes. There is something wrong with just about every article of clothing I own. They are too dark, too light, too out of style, too youthful, too matronly. When I settle on a palette, then I can’t find anything in my style in those colors. When I finally find something that flatters my shape, the color isn’t what I want. I find things I like that are too casual for work but I can find little appropriate for work. I keep searching, knowing I will find those perfect garment. It has dawned on me that I am working this problem way too hard and that I need a break. Any suggestions out there? Do you think your plan would help me? Anne, I know exactly what you mean about the clothes never being quite right! I feel that in some ways shopping and getting dressed are becoming so much harder for me than they used to be. It’s all very well to have a good idea about what clothes work for us, but the reality is we often can’t find exactly what we want. Lately I’ve been telling myself that even if I continued to shop, I probably wouldn’t find anything better than what I’ve got. I’m trying to be patient and hopefully the right clothes will come my way. It’s not easy though! Good luck with your style recovery! I can SO relate to what both of you wrote, Anne and Kayla! I am frustrated both by feeling my clothes aren’t right AND by the fact that I can’t find what I’m looking for in the stores. It is definitely hard to be patient, but that’s what we have to do, as it won’t help us to settle. As for whether my plan might help you, Anne, I think it very well likely could. 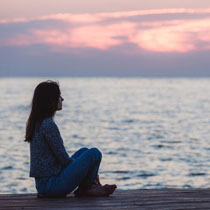 Since what you expressed is so similar to how I feel much of the time, I think that what I’ve outlined to help myself could be beneficial for you, too. Why not try it for a month or two and see how it goes? The journaling is already helping me a lot! I will write a post on that soon. Debbie, I’m glad you’re feeling more positive. It sounds like you have an excellent plan in place! I’ve been redefining my style since last year, and even though my natural instinct is to run out and buy a whole new wardrobe, I’m learning that slow and steady is the key. Although I’ve decided not to purchase anymore summer items, I think your strategies will be very helpful to me when it comes time to think about my autumn/winter wardrobe. I look forward to hear updates on your progress! Thanks, Kayla! I wholeheartedly agree that slow and steady is the key. It gives us more time to learn, assimilate, and adjust. I hope my strategies will be helpful for you for autumn/winter. Please let me know if they are! I definitely relate to this post! First of all, I definitely think just relaxing and wearing your favorite things for a while is a great idea. A positive and productive approach. For me, I am working somewhere new, and transitioning to office wear 5 days a week. I am pretty happy with my wardrobe size and style. I’m also trying to focus on enjoying what I have! And I do. On repeating outfits (and maybe this has been discussed here before? ): when I went abroad for a year in high school, I lived in a rural French town with a small high school, and it was absolutely standard to wear the exact same outfit (head to toe) two days in a row – so three outfits a week, and maybe another on the weekend. Here in the US where I live, wearing the same exact outfit two days in a row to my office would probably be considered a bit eccentric. But I think a lot of us try to always look new and fresh when really, if you looked great in your outfit the first time, you will look great the next time, too! So why not cherish favorite looks while they work for us? I think most people aren’t really judging (or paying attention) to others repeating outfits regularly anyway. Congrats on the progress you’re making with your wardrobe and style, Sophie! The fact that you’re making fewer mistakes and are happy with your wardrobe size and overall style is major – bravo! I love the story of your time in France. I wish Americans would adopt the French way of dressing more. I DO know people who repeat outfits even in the U.S., though. It’s not the norm, but why not do it? We should wear and enjoy our clothes while we love them, as we are often prone to changing our minds! Even though I am under budget for the year I am buying too many items to be able to meet my item limit. I have already bought 8 things this month so that brings me to 42. My goal number was 44. I’m pretty sure that I will buy more than 2 items for the rest of the year. When I gained weight after quitting smoking I needed to buy a completely new wardrobe at least twice. I refined some of the styles that I wore because former choices no longer looked good on me. The last few years my weight has become stable and I am happy with my style and I’m not really looking to make any big changes. However….I will buy a similar style but the fabric is nicer on this one, or the color is just a little bit better, or the drape…. I think that anyone with a shopping problem with always be able to find a “reason” to buy more. You are very wise to try to proceed slowly. I know that it wasn’t enough when I had 500 items and it isn’t enough when I have 150 things that fit better, are better colors, because for me it’s not about the clothes. I went back and looked at everything that I bought this year and I could only come up with 2 things that were truly needed. The other 40 things I bought because I wanted to buy something, or because I was depressed, or stressed, or bored. I don’t really have any answers. I know I am doing much better than I used to. I know that I’m not going to just say the heck with it and buy everything because I won’t meet my goal. Most of all I know that I need to get back to focusing on my mental, physical, and spiritual well being like I was in the beginning of the year. I really appreciate your honesty, Tonya! I can totally relate to what you wrote. Much of what I bought wasn’t truly needed, either. I will do another purchase analysis post soon, but I know my numbers (of loved items) aren’t that good, either. Even when I think I’m shopping for the right reasons, I still make mistakes. I know it takes time to become a smarter, more conscious shopper, but your last point is spot on, too. Like you, I also need to focus more on my mental, physical, and spiritual well-being. Another super insightful post, Debbie. I’d really like to write something just as insightful, but I’m on vacation mode here. My comment will be on the buying more of the same. When I stopped doing that, my world (fashion-wise only) changed and I actually got something out of buying new things. When you look into your closet and don’t feel super satisfied, it does’t quite make sense to buy more of the same. Extend your wardrobe instead of just adding more. What also helped me was a little refashioning and dyeing of what I already owned. How could I make this not-so-loved item into something I’d love more? It helped me develop my sense of style and although a lot of the things I refashioned didn’t work out, I had fun in the process, learned a lot, and some of the things found a new and better place in my wardrobe. You’re on the right track! I’d love to hear more about your style refining? I could see the difference between your wardrobe and mine when I watched your closet video, Mette. I can see how stopping buying more of the same could really change someone’s fashion world. I like the refashioning idea, too. I have a few items that I’d like to try to dye. I am nervous to try it, but if I would get rid of the items anyway, the risk isn’t really all that high. I will write about my style refining soon. It’s still coming together and is a gradual process, but I’m glad to be on the path. I think you are absolutely on the right track. I started doing this last year and feel much more confident about my style, my purchases, and my wardrobe. What has really helped it putting together a few outfits for each type of activity and weather on a spreadsheet (and photo), and making notes on how I felt wearing the outfit for the occasion. The sense of needing an item has reduced as I know I have alternative outfits I can wear, and I am resisting purchasing items which are compromises, and ‘just in case’ items. I keep a spreadsheet of what I wear daily which has revealed what I really do and wear (less than I thought). My next step is to add a column for some comments on why I chose/rejected outfits as I’m finding that some outfits which are well put together in theory just don’t feel right either for the activity or for me and it will be useful to understand why. My goal is not a number, it is to have an outfit I feel comfortable in for any activity or occasion. I love your spreadsheet concept, Lynn! Sounds like it’s working really well for you. I’m not being that sophisticated yet (although I do have a spreadsheet of what I own and how often I wear it – maybe I could just modify that). I’m just writing in a journal about what I wore, what I did, and how I felt. I’m already getting a lot of insights and it’s only been a little over a week! I love your goal – that is really mine, too! I’ve just discovered your blog (although I’ve been pondering on many of these issues for a while now), and read through some of the posts. I think this is your best so far, it really is about attitude shift. I’m roughly at Jan 2013 your starting point, in terms of numbers, and have set myself a goal of having a smaller (around 200 excl shoes/bags/scarfs), reasonably well coordinated wardrobe by age of 60, which is in 4 years. What startled me was realising that even a limit of around 40 pieces a year would be 160 new things in 4 years – which is a large number, too many for me, and I fear I’ll simply end up with variable partly mis-matched selection I currently have. The second thing I have realised is that, if somebody just handed me a large chunk of money to spend on clothes (e.g. £5,000, about half of my 4 year budget) I would buy very few, but high quality pieces that I would research carefully, eg some really beautiful scarves. So… Ive decided to work really hard at limiting numbers, more than budget (within reason! ), e.g. no more than 2 excellent things a month. Your points 1-5 are a real help in working out how to move forward on my plan! Welcome, Alice, and thanks for your comment. Sounds like you’re on a good track with your wardrobe and style. I like that you’re giving yourself a good amount of time to make changes, as it really can be difficult to completely transform one’s wardrobe and style in a short time. Your plan to buy very few but quality pieces is a good one. I’m working toward doing something very similar. It hasn’t been easy to limit how much I buy, but it IS helping me to learn and grow. Best wishes to you! Excellent post Debbie!!!!!!! I had a child in November 2012 and have shifted my entire wardrobe both in fit and style. In doing so, I made a large amount of mistakes because I went too quickly and didn’t plan. Very few clothing items I own now come from before 2012 and not just because my body changed! Now, I have a coherent style (unlike the past) that I am mostly happy with, but find that I went too much with a single idea and bought too many similar items. I’m craving a change, but I know that a select few items could update my wardrobe like you mentioned, rather than going hog wild! And who is to say that I won’t crave another shift or change in the future?! The biggest issue for me right now is wanting to upgrade items that I have that ‘work’ but aren’t ideal. I will have to be careful and strategic about what I replace because the last thing I want is waste for no reason. But I have to keep reminding myself of that!! As for an item limit, I too was a cm away from changing it but I decided to try to stick to it as well! My ‘no browsing’ challenge isn’t going so well. I fing myself mindlessly browsing frequently and I am trying hard to do better. I had a close call last night and almost bought some things on sale last night before even really THINKING. Had I had my card info stored on that site I’d be regretting a purchase right now. It’s a work in progress and I’m going to use this as an example to myself! Thanks for sharing your story, Meli. I think it’s common for women to rush too quickly with wardrobe changes and to buy too many similar pieces like you and I have done. You seem to be on a better track now. I think for the no browsing challenge, you need to find other compelling and fun things for you to do with the time. It’s easier to replace a habit than to just get rid of it. Congrats on not buying last night. Good job not to store your card information on the site. Having to take the time to re-enter the information each time can help us to consider whether or not we truly need to buy the items in question. We are all works in progress, but I think you’re doing great overall! Super post, Debbie. I can really identify with almost every single point you made, especially “once we outline our desired style, we tend to want to get there right now.” After my PCA last year I wanted a new wardrobe immediately and bought a lot of items in my new color palette. I got lots of compliments on the new colors and wanted more, more, more. I was very, very lucky that what I bought I’m still wearing and loving (for the most part). I must keep telling myself I have enough and not to buy any more. As far as my clothing and accessories shopping fast for the rest of the year, it’s going ok. I still find myself looking at style blogs and thanks to Bridgette Raes, I found a purse that is exactly what I’ve been wanting for several months. I did not buy it! I added it to my wish list though. If it’s still available 1/1/15 I will probably buy it. I’m hoping that maybe by then I won’t want it anymore. I’m impressing that you’ve taking on a shopping fast, Kim, and that you didn’t buy the purse you found on Bridgette’s blog (there was one I wanted there, too, wonder if it’s the same one…). If you end up buying the purse in January, I’m sure you’ll appreciate it a lot more. I think it’s great that you are wearing and loving the new items you bought after your color analysis. You have a good foundation and can build upon it after your shopping fast is over. The purse I want is a pink Elliott Lucca that can be carried in your hand or cross body. On-screen it looks like the perfect medium-tone pink. It would be a nice pop of color to contrast with my color palette. Not the same one as I wanted, but sounds lovely. I hope it will still be available for you in January if you still want it at that time. Congrats on staying strong! I have found that remixing current pieces into new combinations and wardrobe challenges keep me ‘busy’ and take the focus off of “I have nothing to wear.” I’ve also had to ask myself, am I really looking to change my style or am I just trying to come up with a new reason for shopping. I get so used to filling holes and reworking my style, after a while all the work is done and what’s to do now? And I try to practice my new style with what I currently own to see if I truly want to style I am thinking about. I adore French wardrobes, but my recent French Capsule Challenge on my blog has shown me that I need to modify the French formula (lots of black and grey) for my own preferences. I like the questions you’re asking yourself, Lisa. I also liked reading about your French Capsule Challenge. I may take on a similar challenge as a fun (and shorter) alternative to Project 333. It seems like you learned a lot through it. You are wise to consider if you’re just coming up with new reasons to shop. It’s very common for shopaholics to have convoluted logic, so a reality check can be helpful. Debbie, I want to comment on your points 1 and 2. I have consciously worked to wear potential benchwarmers, and it has helped solidify why they aren’t all stars. A blouse gaps a bit, pants are a tad too short, a color isn’t that flattering. Identifying these shortcomings helps me make the decision to donate these pieces. And I haven’t done 2 routinely, though do note things like, “Good professional look” or “Easy and polished” or “Not great combo.” I will try to do this more often, to help identify my best outfits. Thank you for another inspiring post! I agree that wearing potential benchwarmers can help us identify why they’re not all-stars, Tricia. But I think I know the answers for some of mine and will be okay donating them at the end of the season if they’re unworn. The journal is really helping me a lot, even in its early days. I highly recommend it! I find the approach of the Vivienne Files has made me stop and rethink my wardrobe. If I have a good set of high quality basics that are timeless I can add two or three selected colors and come up with stunning ensembles. I shop second had and had to make myself try on everything !! Any new piece has to be a 10, otherwise what’s the point. Classic basics can be updated with the latest/seasonal color shift with out breaking the bank. Say you want to have coral/aqua this summer as your colors with the white/black basics you have. You can find a statement top with both colors in a strip or floral, basic tops in you best style in each separate color and scarfs, one shoe , and one handbag and be done for the season. For those who wear jewelry, there are a lot of statement pieces that are inexpensive to make an outfit new and fresh. This way, you can wait for the designer that fits you best, we all have one that makes dream fit for our body types, goes on sale for the classic workhorse pieces. Psychologically, this seems to work for me. I can stay in budget, get that thrill of new and keep a wardrobe size /wear per garment that is almost perfect. p.s. the basics don’t have to be black/white. I love others on different people and keeping them to a two, max of three helps me keep control of and focused. When a began to shift to this plan I didn’t get stressed out dressing, or shopping. And a bonus, I get many more complements on my looks. p.p.s. the hanger trick worked for me even with the limited wardrobe, not only to eliminate but also to remind me to use the pieces. I love the approach of The Vivienne Files, too, Kathy! I especially like her recent posts on building a wardrobe from scratch. I wish I had found her blog years ago, but I can still learn from her philosophy today. She illustrates very well that we don’t need to have a lot of clothes in order to be stylish or to have many outfit combinations! I’ve been enjoying that series at The Vivienne Files too, but what I find difficult to connect with on that blog is that Janice is usually “building wardrobes from scratch” whereas very few of us are doing so. Most of us are, instead, trying to “extract wardrobes from a jumble.” You know what I mean? I would so love to see a blog post or series that truly took on that puzzle as we face it in real life. Along those lines I keep finding myself curious about the style redefinition that you’re in the midst of and how you are working to separate the items currently in your closet into those that do vs. do not express your new style. Looking at the full range of items you currently own, could you identify a core of 4 neutral garments that express your new style to build a wardrobe around? And then add 4 items from your current closet in a different neutral…And then find items from your current closet in your accent colors…And so on. Building a wardrobe from scratch, but with items you already own. I wonder what you would find was extra/missing/etc. at the end of that thought experiment. I don’t mean to give you an assignment 🙂 I just am always super curious about how that “from scratch” process would look if applied to a real closet. Overall though I just wanted to thank you for this post! It was really interesting and sharpened my thinking about some of the ideas that your previous post raised. As always I really admire how honest and thoughtful you are in working through these issues, and how hard you work to share your thought process in a way that can be useful to others. Good idea for a post or series, Sarah! 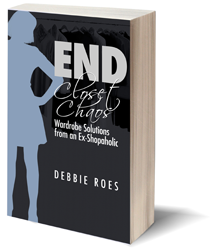 I think many of us struggle with trying to “extract wardrobes from a jumble,” as you put it. I am good at doing that for other people (I used to do it as a business), but not so good at putting those steps in place for myself. But perhaps I could muddle through, learn things, and help others to learn in the process. I’m not nearly as good at doing graphics as Janice (of “The Vivienne Files”), but I think I could apply her principles to my wardrobe and write about it. Thanks for giving me this idea! I will chew on it and see what I come up with. I’m glad you liked this post! I’m glad you are feeling better! I can totally relate – I have definitely suffered many times from the want to “be there now”. And then I realize that I just can’t do that because a) I can’t possibly replace everything at once, and b) I have terrible trouble letting go of pieces I no longer wear as it is. I know logically that I need to take it slowly and yet sometimes I still want to fast forward 3 years to have done all the work, and found all the wonderful clothing items. Ugh. So then I sit and stew for a while in green-eyed jealousy at those women that seem so put together with their minuscule “10-item but not really” stylish wardrobes. But the difference is that in the past I would give up in disgust and think I’d never get there. So I was totally stuck, and I would buy things randomly and never release old clothing. Now I feel more confident at sticking to my guns. I am finding that my per-month item limit is working best for me out of everything that I’ve tried. I am right on track – I had some months earlier in the year where I bought more than my limit, and now have had some months where I have bought less, so it has evened out. I find that the per-month allocation actually gives me permission to go and buy things (ha! Who’d have thought that would be important? But veering from no buying to binge buying is an issue for me). This way, I can keep slowly evolving my wardrobe to include clothes that work for me right now, and the limit also reins me in. You are so right that it’s much more of a marathon than a sprint. I am jealous of those women with their stylish but minuscule wardrobes, too, Sarah! Congrats on sticking to your item limit. I’m glad it’s working well for you. Like you, I have trouble veering from now buying to binge buying, so I try to do a happy medium of SOME buying. I’m still struggling with the item limit, but I AM making progress. We’ll get there eventually. You’re so right that we’ll never get there is we give up and just go back to our old ways. Lost my post last night. But I understand the desire to want to solve the fashion ‘puzzle’, as it were, NOW. But it is a never ending journey with no final destination. It’s akin to grocery shopping. You buy food, eat it, or not (which is bad both with food and clothes!) and then need to go back to the store and buy more food. Repeat. Ad naseum. Now, obviously, clothes shopping is on a much much smaller scale than grocery shopping, but the same premise. There is no definite END. Even the finest of wardrobes will eventually wear out. I think having to wait and not rush to fill up the closet with what you want right now is a blessing in disguise. Things change. Even if we think we know what will satisfy at this moment, a month later that may be different. It could be an injury to a foot that requires a whole change in footwear. A sudden job change or move. Life is full of these fun surprises. Going slow and steady allows for gradual shifts, to make alongside life’s shifts. I found that about 150 items (shoes, coats, all of it) works for me. I wish to only buy 24 new per year, which would be 1/6 of my wardrobe changed out every year. What I actually buy is closer to 1/5 or even more of my wardrobe each year. So I either need to be happy with less turnover, or purge more items so that the 24 amount equates with a 1/5 turnover rate, or let myself buy 30 items a year. Not that this applies to you , necessarily, but I think we all desire a certain amount of new, and I found through reviewing purchase rates, my own amount is higher than the 1/6 I have figured and allotted for myself. All this to say, we do need to evolve, but figuring out a rate that is in line with not over shopping can be difficult. Reconciling a new style shift with slow purchase rates is going to take practice. Delayed gratification, introspective times between purchases to really think on how they’re moving your style forward, etc. But I think overall, it will yield better, smarter purchases. Your comment is filled with wisdom, Mo! I agree that proceeding more slowly will work better in the long run. I think your ratio of new to old is very good and is something I aspire to. Eventually, I’d like to buy less than I’m buying, but I’d also like to be making wiser purchases. I know that will happen if I just keep working at it. You’re right that it takes practice, but the effort is well worth it! Debbie, I have spent the last two years reworking my wardrobe. The Vivienne files had a lot of influence on me but also reading books on how the French have very small wardrobes and yet dress beautifully was also important. I definitely feel that the best quality items in my closet are my favorites. Often times, these were expensive designer items, but many were purchased on sale or at outlet malls. Even then, it is hard to spend several hundred dollars on one item of clothing, but I definitely find that over time the items out of luxury fabrics with unusual details become my favorites. I would encourage you to try on some designer clothing and see for yourself. Then use your ingenuity and intelligence (of which you have much) to track down these sorts of items at sales and in your price range. Stick to you wish list, of course, and take your time finding the best pieces you can afford. I think you will like your clothes more. I’m willing to bet that if in the next year, you add 10 amazing pieces to your wardrobe, you will be much happier. Each time you grab that wonderful flattering comfortable leather jacket and that perfect fitting pair of jeans, you will feel great and know you look as good as you possibly can. When you see those price tags, remind yourself that you are worth it. Because, you really are!!! This is my goal for the next year…buy 10, not 30! How about a new mantra? Not “more more more” but “better better better” ? 🙂 I’m enjoying this post and the comments so much! I love this, Amy! I think “better better better” is an excellent mantra to adopt! Oh my goodness I can wholly identify with this and even though I’m not working though any compulsive shopping problems I’ve had the same experience with buying multiples due to the fact that it ids hard to find clothing in my size (petite) and I have a hard time finding shoes to fit my fussy slightly narrow feet. So in the past if I found an item that was a great fit I would buy two or three of the same thing. This led me to accumulate an overabundance of pieces in comparable styles, silhouettes, and colors. That is what I did for a number of years. Whenever what I really wanted didn’t exist in my size, I would settle for buying multiples, and I wore them until I got tired of them… and then I bought multiples of something else. It was an extremely hard cycle to break. Back in my over shopping days I shopped a lot because I really did have the money to buy pretty much what I wanted. Though I was never all that excessive, however I bought far more than I needed. And since I had so much it never wore out, instead I would grow tired of what I had because there were so many multiples. But most of all, I just had to let go of my overly high interest in clothes, and shop less, way less. And like Debbie said, I only wear what I feel “called” to wear. I no longer force myself to wear anything just because it’s in my closet. I don’t worry too much about potential “benchwarmers” or wearing some pieces more than others. I just wear what I love, often repeating certain outfits over and over again, even if I see the same people within the same week. And yes, when I’m feeling overly emotional and overly beginning to look at clothes online, I journal write instead. Then again I often write in my journal. Yet since I know that I tend to use clothing, shoes and handbags as a distraction from emotional stress, or as a reward for completing difficult work deadlines, it’s a constant effort to catch myself and not fall back into old bad habits. Thank you for this post, I like the reminder to stay true to my goals. And Debbie please feel welcome to not respond to this comment. I already know that you are a kind and caring person and I adore you so no worries about not responding. I loved this comment, Terra, including your kind statement at the end. I like responding to the comments and will do so as long as I am able to do it. Today I have the time and the energy to do it 🙂 I really loved what you wrote and your story has always inspired me. I agree that having a smaller wardrobe is the best way to go. I am gradually lowering my closet set point and becoming more comfortable with less. Now I need to become more comfortable with buying higher quality and higher-end clothing. It’s all part of my journey and I’m trying to enjoy the process instead of just pining for the destination. I’m glad you liked the post and that it’s a reminder to stay true to your goals. My question to you is, do you really get that bored with your clothes that you need more things to actually redefine your style or is this just a habit of buying stuff to redefine your style. I would almost think that something to consider for next year would be a shopping fast so you can solely focus on pairing down your wardrobe before you replace it with higher quality item. However, I would do this with the exception of “the sole is completely worn out and you have no other shoes that can be worn instead” type of emergencies which you hold yourself accountable for. Welcome, Bethany, and thanks for your comment and question. Yes, I do get bored with my clothes sometimes, but I think a lot of that has to do with my tendency to buy such similar pieces for so long. I also have a habit of shopping, so I guess both parts of the equation are true. I have done well with paring down my wardrobe (it’s half the size it was in January 2013) and shopping less often, so I don’t feel the need to do a year-long shopping fast, but I might do shorter hiatuses from time to time as it feels appropriate. I feel I am on track to get to where I want to be, but it’s taking me longer than I want. I just have to be patient, take it day by day, and continue to learn and grow through the process. I also need to be more targeted and mindful in what I buy. I’ve improved in that regard, but still have room to grow for sure. Not all that long ago (less than 10 years) I needed to make a major wardrobe change, but because I am frugal AND because I wanted to carefully curate all the clothes I bought, I developed a plan based on my 3 Tiers approach to wardrobe planning and management. First I assessed what I currently owned that could make the transition to the new wardrobe, and then I “shopped” in my closet for Tier 1 items (coats, suits, skirts, pants, and so forth that create the basic building blocks of a wardrobe. I also “shopped” my closet for the Tier 2 (the “go-withs” — sweaters, blouses, tops, and other “secondary” items that round out a wardrobe. Ditto with the accessories and shoes (Tier 3). I created a spreadsheet that tracked all the different ways I could wear the clothes I already had and identified the holes that needed to be filled. Because I wanted to add a little snap to my wardrobe, I decided the save a portion of my dinky budget for the Tier 2 clothes (blouses, a dressy skirt, and so forth) and Tier 3 accessories needed to update and complement the clothes I already had. I also invested in a good Tier 1 suit. The new purchases stretched the current wardrobe and the plan provided me with a multi-year path to investing in new clothes that allowed me to replace a significant amount of my “old” clothes. I took the old stuff to consignment or Goodwill, depending on condition, etc. I ended up with a completely updated (old and new) wardrobe for about $700 (including accessories, purse, and shoes). Of course, because I have been working within a specific color palette for years, the old and new clothes worked seamlessly. If you choose the right clothes (fit, style, fabrication, construction, color), you can put together a decent wardrobe for very little money. I think if I were you, I’d start with your Tier 1 items (black moto jacket, etc.) and evaluate those items that really work with this kind of item, and then decide what few items would further enhance the edgy style you are seeking. Your approach seems to be a very good one, Dottie. I like how methodical it is, as you know I am an analytical person, too. I have a wardrobe spreadsheet, but it doesn’t track the ways I can wear my clothes. I downloaded an app to help me with that, but I just need to take the time to set it all up. I think it would be time well spent. I am becoming more okay with letting go of the items that don’t work for me. A smaller wardrobe that works well for me is much preferable over a larger wardrobe with a bunch of pieces that are not “8”s or higher or that fit my previous style instead of what I love today. I expect to pare down more in the coming months. Your advice at the end of your comment is a good place to start, so thank you. Debbie: Maybe some rainy day you could ask a pal or Mr. RS to help you with a wardrobe mix and match process. You try on the clothes you have and want to keep in various combinations and your hubby or pal snaps photos. (Black moto jacket with jeans and white top, black moto jacket with jeans and blue top, black moto jacket with print skirt and white top, etc.) Then as you buy a few new key pieces, repeat. Janice Riggs of The Vivienne Files creates entire wardrobes around a few key clothing items — very visual!! Interesting that you don’t track how many ways you can wear your clothes! I think this is the key to creating and managing a smaller wardrobe — that nearly everything could be matched up. In my retail life I see a lot of people buying “outfits” — specific top with matching/coordinating skirt or pants. Decades and decades ago, I too had “outfits” and this shopping process led to me purchase butter yellow wide-leg pants to wear with a single top. Terrible waste of money not to mention that yellow isn’t my color!! I still cringe! Outfits. Makes me cringe too because that was my practice back in the days when I over shopped and had way too many clothes. I’ve actually done this type of thing a lot, Dottie. I’ve done lots of photos but have never tracked outfit combinations on a spreadsheet. With the wardrobe size I had, the sheer number of options makes the mind boggle! I’ve never been one to buy in outfits or to always wear my clothes the same way. I need to spend some more time creating outfits (#4 in my plan above), as that always helps me to feel better about my current wardrobe. We all have more options than we realize! Have you thought about boxing up or moving the less-than-perfect clothes that you said you will donate if unworn at the end of the season? I’m wondering if you would be happier with what you do have if when you actually stood in front of your closet you didn’t see the stuff that isn’t great. Since you aren’t immediately getting rid of it you could always go to where it’s stored if there was something in the pile that you need-wanted. Good idea, Sara! I think what I might do is move the things I’m not wild about to another closet and use it as a “hidden holding zone.” If I don’t reach for any of those items by the end of the season, then I’ll know they should go. I’m actually feeling a lot better about my wardrobe since I wrote this post and mostly because I’ve been taking steps 1 and 2 above. Very simple but quite powerful! I’ve been mulling over your post and process all day, as to how I would go about it if I were in your situation, faced with a closet full of clothes I suddenly realized I didn’t like anymore. Actually, I was a bit in that situation last summer when I got rid of 2/3 of my summer closet that I was keeping for reasons other than the clothes looked good on me or worked for my lifestyle. It takes a lot of courage to admit you really don’t like something you have put a lot of time and energy into collecting. Your closet is a carefully curated body of work. But sometimes you just have to bite the bullet and admit it for your own integrity and well being, and move on. I’m one of those persons who feels happier when I face up to things, so in your situation I would be inclined to deliberately separate out what didn’t work for me anymore and figure out how best to distribute it–either by consignment, ebay, donation, etc. There’s really no point in keeping something you don’t like and trying to talk yourself into happily wearing it–usually doesn’t work. You won’t wear it. It will become a dreaded benchwarmer, or if you do wear it, you won’t feel happy in it. Its not only that trends and styles change, but YOU change as you evolve in your process, and your tastes change so what might have been right for you in the past may no longer feel relevant now. So you hone it down to the core of what you like and it makes you feel freer. Next, you see how many multiples you have and whether you can hone things down a little further. Its OK if you only have a few things when you’re done, because you know those things suit who you are today. And you can add to them when you find something special that works with your new smaller group. When I went through this process, I found myself thinking in a much more selective way about how I wanted to put things together in outfits. When I flipped my wardrobe over the space of a few months, I didn’t confine myself to a number of garments allowance, but rather to a dollar amount budget. Then I made a list of what I wanted to add to my diminished wardrobe to round it out, and I bought nearly everything on the list on sale because I researched it online before I purchased and strategically waited for special discounts, etc. I overspent by a few hundred dollars the first two seasons I implemented this, but by this time (season 3) I have spent less than half of my budgeted amount to freshen up my wardrobe. I also used the funds from selling consignment to pay for my updated wardrobe, so that made it workable too. I also use the dollar budget method and find it also leads to a finite number of clothes, especially if quality is also a benchmark. I think my method must be very similar to yours, Deborah (Deby), including the analysis of what to add to my wardrobe, the research, buying on sale whenever possible. It really worked very well for me, and because I decided at the outset to freshen up my wardrobe over a couple of years, I was generally stayed within or near my budget. But then nearly all my clothing purchases are planned this way. Deby and Dottie, I also do this now too and it works well for me. And Deby, I love your comment and your suggestion helped me release a few more things . Funnily even with a small wardrobe there are always a few things I seldom wear and after clearing them out I was able to see more options and ways of wearing the rest of my clothes. Dottie and Terra, I find a great deal of satisfaction in purging out things that are no longer suitable for me to wear. Besides helping me feel like I am clearing out, I like to imagine them going out into the world to help someone who needs them than I do. Most of the garments are in good enough shape to go to consignment unless for some reason they are considered woefully out of date or otherwise inadequate, and those I give to charity. Most of my friends are either larger or smaller than me, so I can’t do much swapping or giving away in my circle. Once I send them on to a new home, I seldom think of them again. There are a very few things I wished I hadn’t gotten rid of so spontaneously, but not much! Thanks for your detailed and thoughtful suggestions, Deby. After a few days have gone by, I realize I like more of my wardrobe than I thought, but I agree that it’s a good idea to get the definite “not that” items out of the closet. I plan to do that soon, but may hold some of them in our other closet for a little while just to be sure. I can get into emotional states about my clothes and be too hasty about letting things go, so I like to give myself a bit of a pause. I like your perspective on passing things on to others. I’m very much like you in that I seldom think of the items I let go again. I mostly feel relieved that they’re no longer in my closet. The item limit has been especially challenging for me this year, especially because I continue to make shopping mistakes. I hesitate to just throw it away, though, but I also think there’s a strong possibility I may not meet it. But I agree that the budget is more important, especially since that’s something my husband and I set together. While the item limit is more arbitrary in nature, it’s still a good exercise for me, as it’s helping me to overcome my sales and consignment shopping habit. Of course, those types of shopping aren’t necessarily bad. There is a right and a wrong way to approach sales and resale and I was often approaching them in the wrong way. I feel I’ve had a bit of a “detox” from both and that will benefit my shopping, my style, and my psyche positively in the long run. 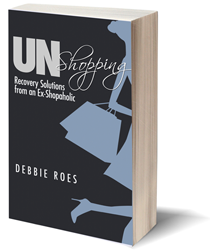 Hi Debbie: I’ve been following your posts for several months now and have found them extremely helpful in my own recovery from overshopping. I have a suggestion for you that has been helpful to me. I regularly go on Pinterest and search for outfit combinations in various colors, save the pictures on my personal computer, and then create outfits from my closet with the pictures as a style/color guide. Doing so has made me appreciate what I have and has also led to many fun hours of creativity shopping my closet and accessories collection. The outfits from Pinterest that I choose to work from I do not necessarily attempt to duplicate per se, but instead use the colors and accessory ideas for inspiration in creating new outfits from my own wardrobe. Love this idea Denise! I think I’ll try it out today. I did this a few years ago to visually recreate my travel wardrobe, then printed out a few copies. Nice visual reference for vacation planning. This could be a great way to document a wardrobe — if not exactly yours, then one that’s pretty close. Fantastic idea!!! I also have a travel wardrobe that Janice Riggs (The Vivienne Files) did a few years ago. I have pared this wardrobe down further but still use it too. What fab ideas from all these readers!!! Wonderful idea, Denise! I did a lot with Pinterest when I first signed on but have been neglecting my account for a while. There are a few outfit bloggers that base their entire blogs on what you suggested and it’s always interesting to see what they come up with. Like Christy, I plan to try out when you suggested very soon. Thanks! I have fallen into the trap of wanting to own everything of a certain style, overbuying and then regretting most of the purchases. I fall in love with an image or an item and then I become obsessed with owning many variations. Last year it was leather moto jackets. Nothing I bought ended up being perfect because I wanted too many at once. I really agree with your plan of living with a few options of your new style, see where it fits with your current wardrobe and add pieces slowly. You will like and use what you buy. Good luck! You and me both, Leah! I’ve definitely done what you mentioned too many times to count. I’m in danger of doing that with moto jackets now, but I plan to just wear and enjoy the two I have for a while before adding more to the mix. It’s hard for me to hold back on shopping, but I think it’s an important part of my recovery. Otherwise, I’d just be doing more of the same and that’s not good! I have been working on redefining my style since last year. My strategy has been to focus my wardrobe on a core group of neutrals with a few accent colors mixed in for each season. As all of the colors work together, I now have a smaller wardrobe overall. This spring I decided to add a new accent color in which I purchased a sweater, a scarf, 2 tops and a pair of shoes. All of these items worked with my other colors and so have been worn frequently. Although I also added a whopping 15 pieces to bolster my core neutral color this spring, my seasonal wardrobe totals 35 items and is getting a lot of repeat wear. While I still have items I would like to add, I feel less in a rush now to buy and have only made one purchase in the last month. As I undertook a similar rebuilding process last year with my fall wardrobe, I am anxious to see if my buying pace will be slower now as I should need fewer items for the upcoming season. Sounds like you have a very sound wardrobe strategy, CMO. It’s similar to what Janice of “The Vivienne Files” has been writing about recently. I love that you are doing so much with a small wardrobe of 35 items. Good for you! Debbie, this is so spot on! And exactly how I’ve run into trouble in the past. I love your tips and will definitely be using them. In the past l wanted every style going! I bought anything I liked without giving much thought to how the pieces would work together. And ends up with a huge wardrobe that doesn’t look as I would like. In the last three months I’ve been feeling frustrated that I want my style to be a certain way and I can’t afford a new wardrobe. The truth is I bet a lot of that wardrobe that I want is right there but needs to be excavated from my current one. It makes me uncomfortable to get rid of clothes I actually like even though they are not ‘me’ but personally I have to do this otherwise I will continue wearing clothes which I don’t feel right in. So I agree the answer is not more clothes! Even though this is the solution that I want. I’m glad I gave you food for thought, Christy. I think you’re right that the answer is not more clothes. If we work with what we have and only add a bit at a time strategically, I think we’ll be in a far better place than if we did what we’ve always done in the past. Best wishes to you in excavating the wardrobe you want from the one you have! I really relate to the desire to just toss out everything in my wardrobe and start over! When I started working in a professional environment full-time I ended up shopping for two different environments which didn’t overlap – half were still the fun, trendy & slightly juvenille clothes that I liked wearing in college and felt more comfortable wearing around my frends. The other half were the more refined professional clothing I needed for work and there wasn’t any overlap. Over the past several years I’ve wanted to mesh the two styles together but I don’t think I’ve been very successful. I can still get away with dressing “young” (I’m 27) but those clothes just aren’t as verstile even though they’re still apealing to me stylistically. I started down the path of having lots of solid color pieces and using accessories to tailor outfits to different environments but it doesn’t always feel authentic to how I’d like to present myself. Yes, it’s definitely not easy, Avi, especially during times of transition. I’m sure many women your age are going through similar challenges, but at least you’re thinking about it and working on growing up your style. I’m older and in a different stage of life, but many of our challenges are similar. It takes time to evolve one’s style, but it’s a worthwhile effort. It’s hard to be patient and let it take the time it needs, but trying to do it all overnight doesn’t work, either. Just keep taking it one day at a time and one step at a time and you’ll eventually get to a much better place! Debbie, I have made a pretty similar shopaholic journey as you. I also have times when I want to toss out all my things and start again and in fact, I feel like that right now. I streamlined my 2013/14 winter wardrobe and was very happy with it. In fact, my winter wardrobe worked so well that when I look at it I will be happy to wear it all again next winter!!! I can’t say the same about my summer wardrobe, most of which I would like to toss. So I think this is what’s going on. My winter wardrobe was small but all good quality items based on a small cohesive color pallette. It also contained more solids than prints and more monochrome outfits with color added in accessories. My summer wardrobe contains a lot of prints, a lot of color and I think this is part of the problem for me. I think I prefer more monochrome dressing with color in accessorries which I find more sophisticated rather than lots of contrasting prints on black or white basics. Visually looking in my closet at a sea of color and print is not calming for me either. My winter closet worked well as I could easily see how things could be put together. I can easily see how I can add to the mix and get more mileage from what is in there. I need to strip back my summer clothes and copy the same formula. Sounds like you made a good assessment of the problem, Carolyn. I know you can do for your summer wardrobe what you did for your winter wardrobe previously. You seem to be thriving with a smaller color palette and fewer prints. There is no one formula that works for everyone, but you seem to have settled up whats right for you. Best of luck in getting your summer wardrobe to where you want it to be very soon! I have done a wardrobe overhaul every year for the past 4 years. I hope this year will be the last, as I will be moving to a rural area with an address that not all couriers can reach. I can tell you from experience that a complete overhaul is not the answer. You might be happy for awhile but within a few months you will not be satisfied again. It was really an excuse to fuel my shopaholic tendencies. Change of outlook is really the key. A lot of changes happened in my life this year and I focused on the realities of what I really wear that suits my lifestyle vs. my ideal fantasy wardrobe. I still make a lot of mistakes but far less than before. It’s always a process, like with any kind of addiction, but your acute awareness of the problem will certainly help you persevere. Thanks for confirming what I sensed was true, Wendy. I know that my dissatisfaction has to do with more than just my wardrobe, so overhauling my clothes won’t fix it. I am not totally sure how to fix it, but I know that more shopping isn’t the answer. It hasn’t been for over 30 years and it still isn’t. I wish you the best of luck in your new home. It sounds like you’re on the right track. I think that focusing on the realities for our lifestyle is really important. I write about that a lot but don’t always take my own advice! Hello! I found your blog recently and began poring over almost all of the posts as I’ve come to realize (and admit) that I’m a compulsive shopper. Your honesty has been so comforting to me and has helped me get on a path to recovery for myself. I just want to say THANK YOU for all of your efforts that go into this blog and for your continuing openness. Welcome, Ali, and thanks for your kind words. It always warms my heart to know that my words are touching others. I wish you the very best in your recovery! I hope you comment again and let us know how you’re doing. Hi, new reader here! I’ve spent the last few months really analyzing my clothes shopping and have discovered I want a wardrobe of things I love and that go together – tomorrow! What I’ve found that leads to (with me) is a whole host of ‘that’ll do’ stuff that doesn’t make my heart sing but fits in with my need for fixing a gap FAST. As a result I regularly have the urge to chuck everything out and start again. What I’d like to do from now is to just stop buying randomly. I have a list of my current clothes and what goes with what and I have some gaps. The main thing is that I’ve bought cheap and would like to buy less but better quality. If that works I’ll have a wardrobe containing things I love and want to wear instead of feeling non-plussed about everything. Thanks for sharing your struggle – it helps me enormously. S.
Welcome, Saltbox! It sounds like you have a good plan in place. I agree that trying to move too fast with style transformation can lead to a bunch of “that’ll do” clothes. That’s definitely been the case for me. Like you, I would like to buy less but better quality. I think that will help us a lot in our efforts to change our wardrobes. I wish you the best of luck! I’m glad you’re finding my blog helpful. I also think it’s awesome that you take the time to respond to your readers in the comments section! I wasn’t being quite honest when I mentioned I have the ‘urge’ to chuck it out and start again – oft times I actually do purge 50% of my clothes in a fit of pique because what I own was a ‘that’ll do’ purchase. It results in me feeling guilty, ashamed and wasteful and is something I want to stop doing. Today I have had a purge and thrown out yet more ‘stuff’ that just doesn’t feel quite right. I’m not going to buy anything more until I’ve read your blog from the beginning and can get a handle on what I’m using shopping for. I think MANY people are like you in doing regular closet overhauls. I know I’ve often done that, but continued to maintain a fairly large wardrobe. If you read the comments on this post, you’ll see a few people with whom you’ll be able to relate. Wendy is one but there are others, too. I’m glad you’re going to hold off on buying for awhile. Check out this recent guest post for some tips and motivation: https://recoveringshopaholic.com/how-a-shopping-hiatus-can-help/ Taking a few steps back and giving yourself time to evaluate what you have, why you shop, and what you really need (both in terms of your wardrobe and emotionally) can definitely be beneficial. Good luck and please let us know how you’re doing! Since I didn’t see anyone else mention it – for me, a nearly fail-proof trick for alleviating a certain amount of closet dissatisfaction is to address my hair – sometimes a style or color change is in order, but usually just a cheap trim will do. Thanks for mentioning hair, Claire. On “What Not to Wear,” it was referred to as our most important accessory, as we wear it every single day. Often, the makeovers on that show didn’t come together until the hair and make-up were transformed. I am not very adventurous with my hair (need to work on that! ), but I do switch up my color from time to time and did so recently. I agree that even a trim can make an important difference! I have been a long time lurker here, and finally felt I should comment on your excellent website. I have been struggling with over-shopping and closet dissatisfaction for the last few years, something that I never knew when I was in my twenties (I’m in my 40’s now) when I had a tiny, tiny wardrobe. I know a large chunk of my issues are dissatisfaction with the general state of my life at present and my wardrobe is a reflection of that. This post and the last have really helped me to see I need to pare down my closet, find the pieces that I wear regularly, and only add pieces that are well-made and better quality (I want to change my style quickly, so I tend to buy cheap pieces which don’t hang right, don’t fit well, stretch out etc). Somehow in the last few years, more and cheaper was better, and it all feels so-so when I look at it. I can relate to the feeling of looking in my wardrobe and not liking any of it. The other day I tried an idea I found on Unfancy about 37 piece capsule wardrobes – http://www.un-fancy.com/capsule-wardrobe-101/how-to-build-a-capsule-wardrobe/ and I looked in my wardrobe to find those 37 pieces that I loved and felt I could wear for a season. Out of the 300 odd pieces that are in my wardrobe – I found maybe 30 that I felt I would be happy wearing for an entire season. A large amount was out of season, but still I thought I would easily find the 37 pieces that thrilled me for this season. I don’t want to throw everything out – essentially throwing the baby out with the bathwater – but I do want to stop buying so many pieces that end up being so-so, not fitting the way I want, and generally ending up as a waste of space and money. I know when my wardrobe was smaller the pieces tended to be more expensive pieces, hopefully picked up on sale, but I only bought one or two pieces each season. I had only one or two items in a category – unlike now when I can probably count 30 pairs of jeans, and so on. Last year I started a list of each item that I bought each month – and over the year, I bought over 200 pieces – a wardrobe in itself. And over the year I purged probably almost as much. But I was still dissatisfied with the state of my wardrobe. I promised myself that 2014 would be the year I brought my closet under control, and I have been slowly working at it – however the rate that things are coming into my closet has not slowed, and I am heading towards another year like last year if I don’t slow down. I have to say though that I tend to buy a large amount of my wardrobe second-hand, so the monetary value is not earth-shattering but still, I cannot sustain this volume. Like Carolyn stated above, summer seems to be a harder season for me to find clothing that makes me happy – my winter wardrobe, although large gives me less problems than my summer wardrobe. Anyway, I feel that I have done too much catharting, and all I wanted to do was say thank you for your wise words, and giving me hope that I can do this, as well as the tools and information to make better choices going forward. Thank you. Thanks so much for your comment, Monique. I can relate to a lot of what you wrote! I, too, used to buy about 200 pieces per year and was more focused on quantity than quality. It can take a while to turn things around, but it IS possible. However, recovery often happens more in peaks and valleys than in a straight line, as you’ve probably seen from reading my posts. I think putting together a capsule wardrobe can really help a lot. When I did Project 333 last year (and again earlier this year), I really increased my awareness of what I have and what did and didn’t work. That enabled me to let go of a lot of the “not that” stuff. I think what you wrote early in your comment is key – we are often more dissatisfied with our LIVES than our wardrobes and are trying to alleviate our emotional issues through shopping. That isn’t easy to fix, either, but awareness is an important first step. I wish you the very best of luck with everything! I’m so glad my blog has been beneficial for you in your journey. One thing that has helped me step back when I get those cravings to buy more to suit my ‘new’ style is to use pin interest. I pin the styles and beautiful pictures I *want* at that time. Then I dissect the pictures to see what really caught my eye. A lot of time I can see the components and already have them… Such as a certain kind of top and skirt and try to find something in my closet like that. If I am missing common pieces, it can help me figure out my gaps. I can also ask myself what draws me to the picture? Is it the color, type of clothing, etc. and figure out themes. Another thing I had to do is let go of all the style books and guides of what I should wear and just try a lot of different things on. I had to start trusting my eye (and my camera). When I dressed by a lot of these blogs and books as my best styles I didn’t look very current and much older. For example a lot of books say I should wear skirts below the knee for my body type and did for years thinking it was my ideal place but in reality I look best with skirts above the knee. I also gave up colors that aren’t my best but I feel good incorporating them because they match the look I want – I just do them in small doses away from my face. It took a lot of trying on things and looking at different proportions to figure it out. Also there is a wonderful site called into-mind dot com that has a lot of great articles on building cohesive capsules. Thanks for sharing the things that help you to improve your style. A few others have mentioned Pinterest, so I think I definitely will go back to my long neglected account there. I think it can really be a useful tool if used properly. I stopped using it because I felt compelled to buy the things I saw there, but the method you outline really makes sense. I agree that the advice in style books can sometimes be really off. This advice can be a good starting point, but we need to try things out to see what resonates most with us. I agree that Into Mind is a great site! I’ve often linked to articles there and am a regular reader. Perhaps I should go back and review some of her old articles, too. I have a clothes shopping problem and a hoarding problem. Can you imagine how confusing and distressing this is for me? I’m working on both but it sure isn’t easy. Thanks for your comment. I’m glad that you are working on both your shopping and hoarding issues. You’re right that it’s not easy, but both problems CAN be overcome! I was never a hoarder with anything other than clothes, but I can imagine it’s very challenging and distressing for you. Just try to take things one day at a time and take baby steps toward recovery. Know that there will be ups and downs, but every day is a new day to make different choices and forge a new future for yourself. Keep the faith and don’t give up! There is support here for you if you need it. You can stay anonymous, but if you have questions or want to share or vent, you are welcome to do it here. I wish you all the best!